For mountain bike riders, entering a stage race is the ultimate challenge. 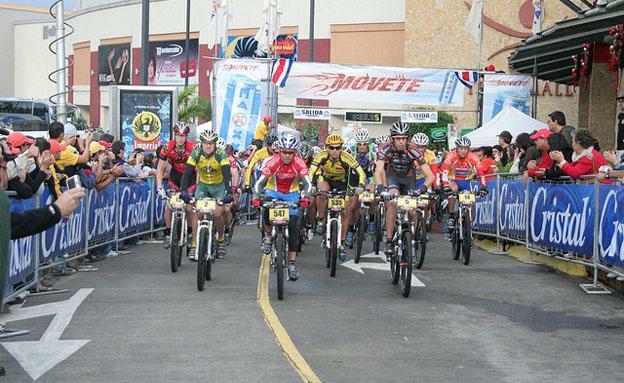 Stage races combine elements of cross-country and marathon mountain bike races planned out over several days. Besides monumental strength and endurance, stage races require iron lungs and nerves of steel. Aside from the grueling competitive conditions, mountain bike stage races take place in locations with spectacular scenery and are often scheduled when the weather is at its best. Some stage races accept solo riders, while others will only allow teams of two. It is always better to race with a buddy. This event is also known to racers as “The Legend.” Iron Bike unfolds over eight days in the Italian and French Alps, and it is considered to be the hardest bike event in the world. The length of the race course is 650km, climbing in heights of 22,000 meters. Only super-fit and experienced riders need apply. 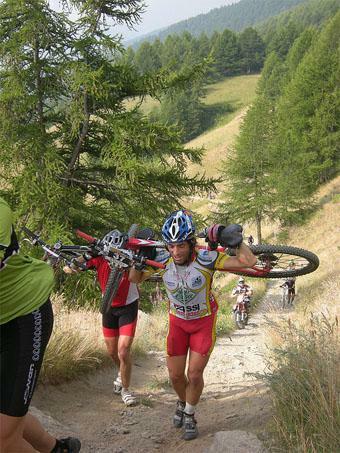 Support for participating racers is limited to the very basics, thus it is highly recommended to race in teams of two. This patriotic race is held each years on the same week as Canada Day. While the race route changes from one year to another, the Sunshine Coast of British Columbia and Vancouver Island are always mainstays of the circuit. Most of the race course involves technical single track racing. The BC Bike Race can be raced in either Challenge or Epic runs. Challenge runs cover 30km per day, while Epic are 60km per day. This highly competitive and adventurous three-day stage race takes riders across the tiny and peaceful Central American nation from its Pacific Coast all the way to its Caribbean beaches. Costa Rica’s mountain ranges are legendary among mountain bike riders for their beauty and their sheer climbing challenge. As if the mountainous terrain wasn’t challenging enough, there are several river crossings that must be tackled by carrying the bike over perilous train tracks. This eight-day race event for two-rider teams enjoys great sponsorship and features advanced logistics. Riders can rest assured that their mechanical and nutritional needs will be well-taken care of by the race staff. Rest stops and hydration are also thoughtfully provided. The 800km Cape Epic route changes each year, and it guarantees climbing at about 15,000 meters. The northern Australian territory is home to this grueling 1,200km stage race which riders must complete in 10 days. This long race begins at Cairns and ends in Cooktown. Conditions are hot and arid, thus proper hydration is a must. Support team members are encouraged, and the race organizers will help make arrangements for car rental. Andrew the author of the “Mountain bike events in the world” is a mountain bikes enthusiast and competitive athlete, having ridden events right throughout the world. Whilst he hasn’t competed in all of the top 5, these are on his bucket list and something he wishes to accomplish in his lifetime.